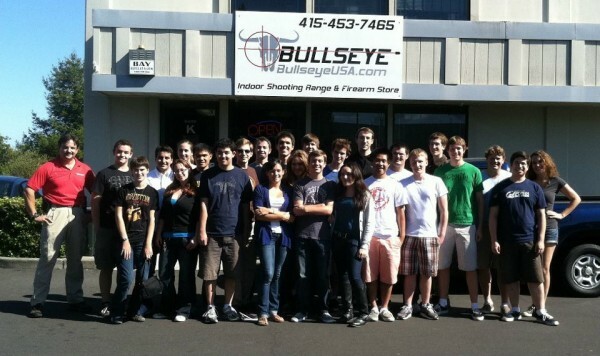 The Second Amendment to the Constitution of these United States protects the right of the people to keep and bear arms; however, firearm regulation remains one of the most polarizing issues in the nation. While many see guns as integral parts of their lives, as tools for hunting and means of defending their families, others feel that guns are instruments of violence and are responsible for the deaths of many innocent men, women and children every year. Current firearms legislation does justice to neither side. Laws are often poorly researched, not based on factual information and are sometimes simply inconsistent. In short, lawmakers need to do their due diligence. Because of the emotional nature of the issue, much firearm legislation tends to manifest as knee-jerk reactions to recent tragedies, often propagated by lawmakers who have very little knowledge of how guns actually work. US Representative Carolyn McCarthy, for instance, introduced a new federal “assault weapons” ban in 2007, but demonstrated a shocking lack of knowledge about her own bill when questioned by reporters. Asked to describe what a “barrel shroud” was and why it should be regulated, she replied that the guns targeted by the bill were commonly used by criminals and that a barrel shroud was “a shoulder thing that goes up.” In reality, a barrel shroud is a covering that allows the barrel of a machine gun to dissipate heat more efficiently, a feature that is found on almost no legal firearms. Romik Barseghian, 3rd year, is trained on basics before actually shooting in the range. Sept 5, 2011. Attempts to prohibit “assault weapons” such is this bring up the issue of defining what an “assault weapon” actually is. The name conjures up images of deadly looking rifles capable of spraying dozens of bullets in a matter of seconds, the sort of gun that might be found in the hands of soldiers, revolutionaries, or action heroes. 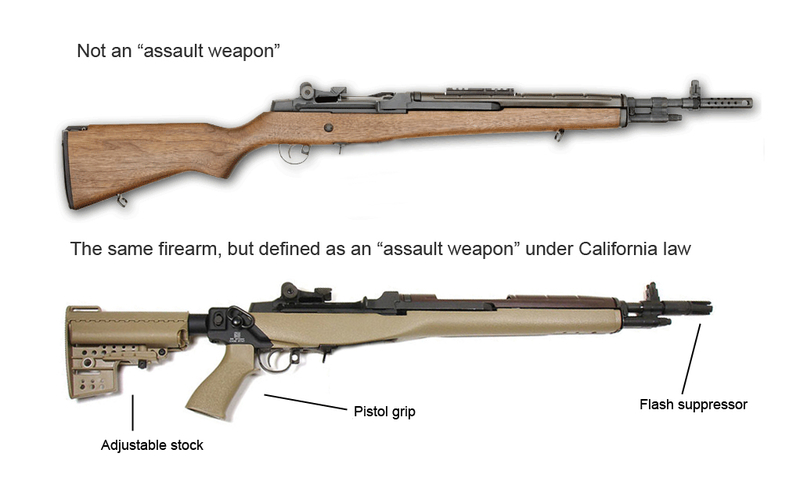 Indeed, this is actually fairly close to the common military definition of an assault rifle, something lightweight, chambered in an intermediate caliber and capable of fully automatic fire. The idea of banning such weapons sounds entirely reasonable to most people, even supporters of gun rights. The problem is that such weapons have been banned for nearly 77 years, since the National Firearms Act of 1934. Instead, what most current gun laws do is to prohibit semi-automatic weapons that look like military rifles but are functionally the same as any hunting rifle. In fact, these supposed “assault weapons” are usually much less lethal than most hunting rifles, firing a smaller and less powerful bullet, usually the .223 Remington. In many states, these weapons are actually prohibited from use in hunting deer, as they are considered to be so underpowered that their use would be inhumane. 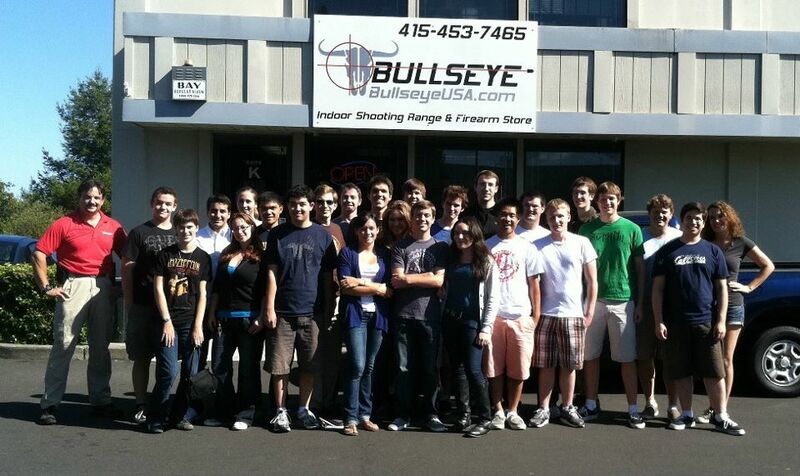 Berkeley College Republicans go to Bullseye Shooting Range in San Rafael to exercise their 2nd Amendment rights. Sept 5, 2011. Such “assault weapon” bans are excellent examples of gun legislation that really have little grounding in reality or research. California’s definition of an assault weapon, for instance, focuses largely on cosmetic details which make the firearm in question look more similar to a military weapon. For instance, telescoping shoulder stocks, which allow people to adjust their rifle to fit their arm length, automatically makes the weapon in question illegal, as do several types of ergonomic grips. Similarly, a firearm might be completely legal when fitted with one type of grip, yet become an “assault weapon” when fitted with another. Obviously, there is no functional difference between the two, but one becomes illegal because it looks more similar to an actual military weapon that some lawmaker may have seen on television. Thank you for this honest and straightforward account of our nation’s often misguided attempt at curing societal symptoms through ignorantly cobbled gun legislation. Your point identifying “lawmakers [that] have stooped to becoming mere politicians” is regrettable, but unfortunately a sad and true commentary describing this country’s inability to put forth solid legislation. I grow tired of politicians pontificating about their heavy heart bleeding for the people of this country while simultaneously using them like a pawn on a political chess board with little regard of the outcome. One simply has to look to those areas of high crime in this country to find the devastation and suffering that ill conceived gun legislation has brought to its citizens. Conversely, those areas in the country where its citizens live under reasonable legislation, such as those that permit concealed carry or acknowledge the God given right under the 2nd Amendment to self-defense, experience less crime. Thanks for your kind comments! You make a great point about how many legislators back causes only for political gain. Unfortunately, firearms are an easy target; most people will naturally jump to the conclusion that guns cause crime without bothering to do the research.